Find out about the Flying Beauty citizen science contest, here. LEGATO stands for ‘Land-use intensity and Ecological Engineering – Assessment Tools for risks and Opportunities in irrigated rice based production systems’ and aims to advance long-term sustainable development of irrigated rice fields, against risks arising from multiple aspects of global change. The overall objective is the elaboration and testing of generally applicable principles within the frame of ecological engineering – an emerging discipline, concerned with design, monitoring and construction of ecosystems. 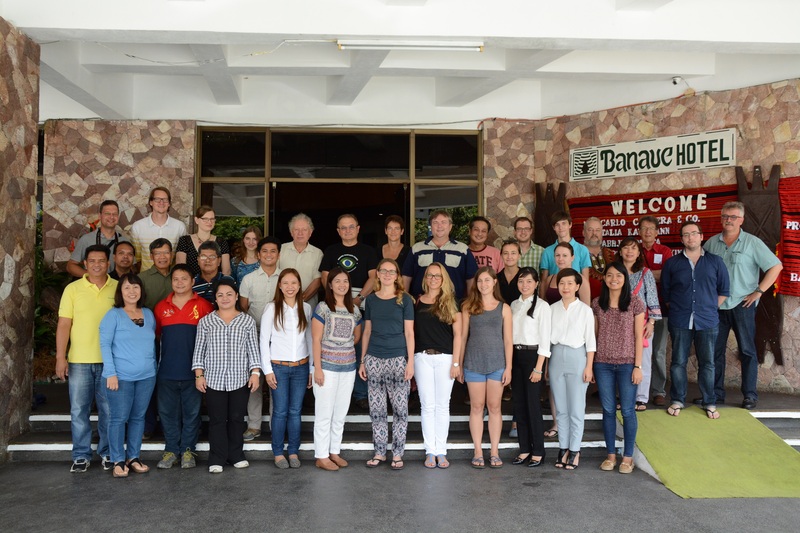 The project plans to quantify the dependence of ecosystem functions and the services they generate in agricultural systems in three areas in Southeast Asia: Malaysia (Muda Irrigation Scheme), Vietnam (Tien Giang province in Mekong Delta and the Red River Valley from the Northwest mountain region to the delta) and The Philippines (Central Luzon from Banaue to Cabanatuan). As core output, LEGATO will develop guidelines for optimising ecosystem functions and services given the local socio-cultural conditions and their stabilisation under future climate and land use change, which will particularly affect South and Southeast Asia. There is a clear need for crop productivity increases and diversification. LEGATO will analyse the potential of ecological engineering to achieve this, and test its implementation and transferability across regions. The latter is to be achieved through inclusion of local agricultural agencies and extension services as partners. Implementation will include assessments of ecosystem services risks and opportunities in the light of changes in land use intensity, biodiversity and climate.